Note: When setting up or changing your wireless settings it is a good idea to be plugged into the router with your network cable and not your wireless connection. If you are using your wireless connection and make any changes you will lose you wireless connection. 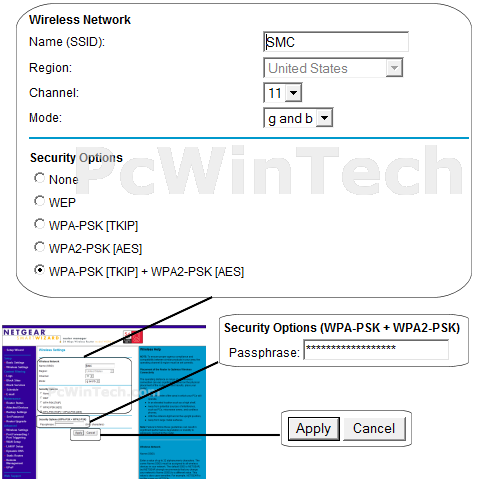 Once logged into your router click on "Wireless Settings". 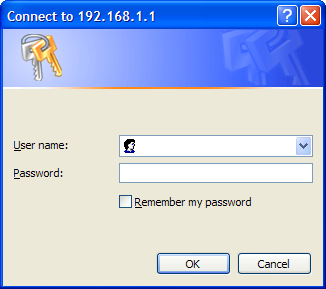 For 'Name (SSID)' set a name you would like to call your wireless. What you put here is what will show up when you are searching for a wireless connection. For 'Channel' you can choose anything you like. If you have a 2.4 GHz cordless phone and it uses the same channel then your wireless connection will get dropped. For 'Mode' choose 'Auto 108 Mbps'. For 'Passphrase' put in a password of your liking, min 8 chars long.